1. Vitamin C: The antioxidants in Vitamin C are what make it so favorable for your skin. 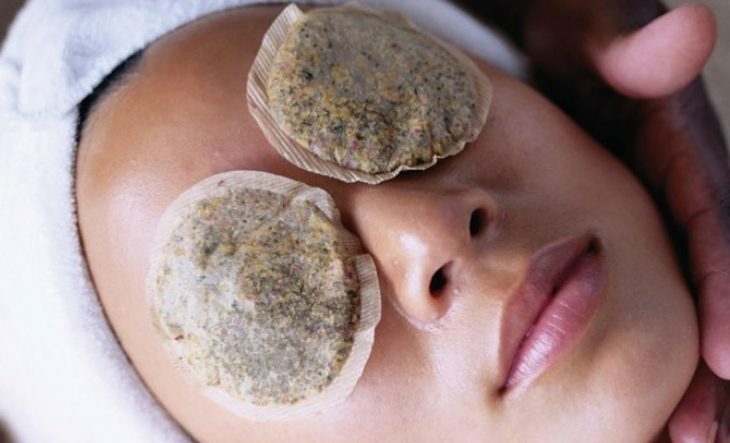 It can help prevent and treat sun damage and under-eye circles. Therefore, you can use Vitamin C-based products before you even notice aging skin damage, or after it already occurs, and it will help either way. You can invest in Vitamin C serum, or find an anti-aging product that contains Vitamin C. This natural vitamin also serves as a great moisturizer. 2. Tea Extracts: Research has shown that applying green tea leaves or extracts to your skin have anti-aging benefits. The best part about this ingredient is that it’s natural. You don’t want to bombard your face with harsh chemicals. Applying white tea extracts to your face can help to reduce wrinkles, eliminate sun damage and replenish firmness. Plus, not only is it beneficial to apply the extracts, but it also helps if you sip white tea as well! 3. Sea Buckthorn Oil: This fabulous oil can help to slow down the signs of aging if you use it on the daily. It nourishes the tissues in your skin and hydrates it. It can also help in healing burns, cuts, wounds, sunburn, rashes, and just about any type of skin damage. You can apply the oil topically, find a product that contains it, or ingest it orally. If you take it orally, other great things this oil can do is prevent liver damage, help with weight management, and aid in preventing Alzheimer’s disease. Sea buckthorn oil seems pretty magical. 4. Grape Seed Extracts: Grape seed oil is known to not clog your pores while it tightens your skin and helps diminish dark circles around your eyes. It contains natural ingredients that fight against skin aging. Again, natural products are the way to go. Experiment with which ones feel most comfortable on your skin, and get ready to glow for the rest of your life! 5. Retinol: Retinol is pretty much just the technical name for Vitamin A, and it is fairly amazing. It can help to diminish fine lines and wrinkles to the point where you can visibly notice it. Of course, it also aids in firming your skin. Retinol works at the deepest level of your skin to produce the best anti-aging results possible. Even though we all strive to obtain a fresh, young look throughout time, we must remember that every one of us is beautiful. Wrinkles are beautiful in their own way! If you do wish to minimize them, these ingredients are the best way to go. What are some other great anti-aging products to use? Comment below!